Arava (leflunomide) affects the immune system and reduces swelling and inflammation in the body. Arava is used to treat the symptoms of rheumatoid arthritis. Arava may also be used for purposes not listed in this medication guide. Do not use Arava if you are pregnant, and stop taking this medicine if you think you might be pregnant. Use birth control to prevent pregnancy while you are taking Arava, and until you complete a "drug elimination" procedure. Arava can cause severe or fatal liver damage. Tell your doctor if you have a history of liver disease or if you also use other medicines such as: pain or arthritis medicine (including aspirin, Tylenol, and Advil/Motrin), medicines to treat tuberculosis or other infections, seizure medication, hormonal birth control or hormone replacement therapy, chemotherapy, cholesterol-lowering medicine, heart medication, or blood pressure medicine. Your liver function will need to be tested often, and you may need to stop taking Arava based on the results of these tests. Do not use Arava if you are pregnant or may become pregnant. Avoid getting pregnant until after you stop taking Arava and undergo a "drug elimination" procedure to help rid your body of this medicine. Stop taking Arava and call your doctor right away if you miss a period or think you might be pregnant. Use birth control to prevent pregnancy while you are taking this medicine. After you stop taking Arava, continue using birth control until you have received blood tests to make sure the drug has been eliminated from your body. Ask your doctor if you should use a barrier form of birth control (condom or diaphragm with spermicide). Using hormonal contraception (birth control pills, injections, implants, skin patches, and vaginal rings) may increase your risk of liver damage while taking Arava. How should I take Arava? Before you start treatment with Arava, your doctor may perform tests to make sure you do not have tuberculosis or other infections. Arava can lower blood cells that help your body fight infections and help your blood to clot. Your blood will need to be tested often. Your Arava treatment may be stopped for a short time based on the results of these tests. Your liver function will also need to be tested often, and you may need to stop taking Arava based on the results of these tests. After you stop taking this medicine, you may need to be treated with other medicines to help your body eliminate leflunomide quickly. If you do not undergo this drug elimination procedure, leflunomide could stay in your body for up to 2 years. Follow your doctor's instructions. You will also need to go through this drug elimination procedure if you plan to become pregnant after you stop taking Arava. -Hematology parameters and liver enzymes should be monitored. What should I avoid while taking Arava? Do not receive a "live" vaccine while using Arava, or you could develop a serious infection. Live vaccines include measles, mumps, rubella (MMR), polio, rotavirus, typhoid, yellow fever, varicella (chickenpox), zoster (shingles), and nasal flu (influenza) vaccine. Get emergency medical help if you have signs of an allergic reaction to Arava: hives; difficulty breathing; swelling of your face, lips, tongue, or throat. What other drugs will affect Arava? 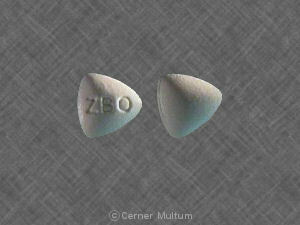 cholesterol-lowering medication - Crestor, Lipitor, Vytorin, Zocor, and others; heart or blood pressure medication. Remember, keep this and all other medicines out of the reach of children, never share your medicines with others, and use Arava only for the indication prescribed.